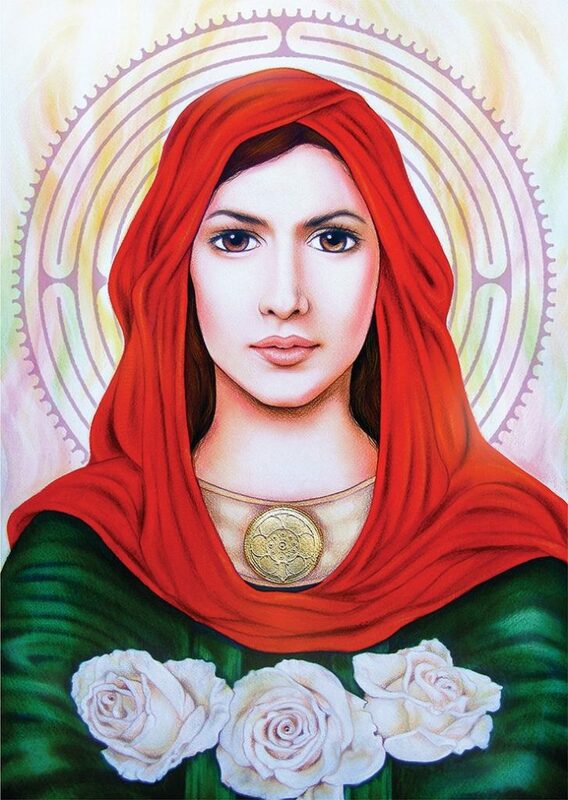 Greetings Dear Ones, yes it is I, Mary Magdalene. Today, I wish to share about what we call the soul essence, or perhaps what you may understand as the oversoul. Today, as each of you stand in your light, I would like for you to consider and to ponder upon your soul essence: the aspect of you that radiates and shines your light so brilliantly, so powerfully, so potently, that your soul essence will never be extinguished. Understand, Dearest Children, that in your incarnation, as your personalities, you are being influenced more strongly, more directly, by your soul essence, by your oversoul, than you can imagine. And so I ask each of you upon this day to take a deep breath, and breathe in the energy of your soul essence, calling in this powerful frequency of all that you’ve ever been, all that you ever shall be, all that you are. Remember, Dear Ones, this is the essence of the energy of one, the energy of oneness, the collective energy of the essence of your powerful, creative, life force energy. This is the essence of you. Your beautiful soul essence. So please take a deep breath and begin to honor your soul, begin to honor all aspects of all that you are, all that you have ever been, all that you shall become. It is only in your linear time that you see or feel your past, your present, or your future. For everything is in the now, in the moment, existing simultaneously. And so, Dear One, all the aspects of what you understand as previous incarnations are happening now. All the remembrances, of all of your lifetimes, of all of your experiences are still happening now. And so, Dearest Ones, you can access any gifts from any lifetime and call it forward. You can also access any attributes you wish to call forward, any energy that you wish to call forward. For example, if you were a writer in another lifetime, you can call forward that essence, and call in that energy, of your soul essence, and it is with you now. You will be able to access that energy, this is what is happening with the new child prodigies that are coming to this planet. The beautiful children who are musicians, singers, dancers, scientists, entrepreneurs, geniuses. They are coming in with their full awareness of their soul essence. Have you ever wondered how can this young person be so talented? How can they be so intelligent? Just like the young girl who was 5 years old who was a spelling bee champion. Five years old, can you imagine? How does she know how to spell all of those words? How does she know what they mean? She and all the other child prodigies are tapping into their soul essence. Tapping into their remembrance of all they have ever been. And you can do the same. And so if you wish to draw from what we call your soul bank, or we call it a repository, where you are able to access everything you have ever been, everything that you are – if you wish to call forward a certain gift, a talent – call it forward. A certain aspect that you wish to bring forward once again, so a level of compassion, or a greater frequency of Divine Love, perhaps you’ve held poverty consciousness within your conscious state, and you can access a lifetime where you held great riches. We are bringing this to your attention today so that you can understand this is very real, and you can call it forward into your now, so that you can change your life and create the life that you want. This may sound preposterous, but it is of truth, and it is for you to understand, for this is very real. Don’t be frightened, call it in, access it, believe in it. We wish for you to also call in the vibrant health that is yours. The radiance of the energy of the vibrancy, to bring this energy into your physicality. It is necessary for all of you to call in this vibrancy, to call in this vitality, to call in the strength within your physical body, and within every cell, every fiber, every pore of your being. Calling in this powerful frequency of healing perfection, literally seeing all cells in your body glowing with the liquid, pure white light of love. Calling forth this energy into your body with the pure liquid white light of God. Calling it in, and breathing in this frequency, and breathing in this essence of peace, tranquility, and love within your heart. Know that today, as you call this frequency into the now, you begin to shift the vibration of any limitation that you may be holding, clearing away the frequencies that no longer serve you. And so breathe in the energy of love, breathe in the energy of peace, breathe in the possibility that you are able to create and manifest and call forth your beautiful soul essence into the now. Can you imagine the vitality and the energy that will be running through your body? The excitement and the exhilaration of knowing that you have unlimited access to energy, unlimited access to your full potential. That you are calling forth your Divine potential. This is what it means, calling forth your Divine potential, and so Dear Ones, imagine this energy coming in through your crown chakra at this very moment, as you call in the lifetime that you wish to draw from. A lifetime where you lived in perfect health, had great riches. Call forth your special talent, perhaps as a musician, a powerful oracle, a powerful healer, a grand businessman. And so, Dearest Children, it is of great significance that you understand that it is of great value and great importance that you call in the soul essence of that which you wish to receive. You see, Dearest Ones, you are multi-faceted, you are multi-dimensional. You are able to call in these strands of your soul, just as today you are hearing my voice, I am here, there, and everywhere. My energy is being used in so many strands, just as your energy is being used in so many dimensional frequencies. This is hard to comprehend when you are in the physical body, and you feel that this is all that you are. And so, Dearest One, understand that you are multi-dimensional. That you hold great power and you have unlimited abilities. You are certainly not limited only in your mind. I bring this to your attention today because it is very important that each of you receive and understand this, so that you can move forward into your life with greater ease, greater comfort, and with a greater understanding. I know how difficult it is to be in the third dimensional limited body, as they say. For as we’ve said many times before, it was difficult for Jeshua and I and the Mother to stand in our truth and understand our full divine potential. And we ask that you call forth the power of the unlimited God source, the great creator energy, the great spirit, into your lives daily, and feeling the strength and the commitment that this day, you will make the choice to live from your unlimited potential, your true soul essence. We ask you, Dearest Children, to call this forth, for it is needed, every soul on your planet is in need of living in their full potential. This is how the healing will occur upon your planet. This is how peace will prevail, when individuals feel the power inside of themselves. It is unfortunate that your current civilization in many ways feels powerless, and many live trapped in their own minds, in their own lives, feeling unable to escape their limited life as they feel it is. And so today call forth the energy and the vitality of your powerful soul essence. Perhaps you’ve never thought about this before, but I’m asking you to think about it today. It is why we, the Holy Family, continue to come to you, to help you, week after week, guiding you and helping you to move forward into the truth of who you are. What a beautiful soul each of you are. We see the beauty of your soul, the power of your unlimited potential, we ask you to see that within yourself. Do not limit yourself, do not degrade yourself, do not criticize yourself, and certainly do not allow any others to criticize you or to hold you back. Call in your soul essence, ask for your support team, the essence of you. When you feel alone, when you feel that you cannot do this or that because of what you think are certain limitations, call in your soul essence. You see, Dearest One, this is your strength, you are not alone. Once again, if you could see what we see, if you could see your full potential, you would never feel alone again. And so, Dearest Ones, know the importance of who you are. Know the power of who you are. Feel the energy running through your very veins. Today, as you hold this powerful frequency of love, first for yourself, and then for another, you are able to help others to step into their full potential, the magnificent you, the magnificent beauty of your powerful soul essence. When you hold vigil for yourself, it is very important to turn within and love yourself, love yourself enough that you are holding vigil for yourself. Remember that when Jeshua and I would go into the Cave of Creation, we would sit in silence and allow ourselves to feel the energy and the essence of our spirit. I’m asking you to call this is in today, to hold vigil for yourself, call in the essence of your soul, the magnificence of your being. And to repeat to yourself, I AM that I AM, I AM that I AM, I AM that I AM. Can you feel the power of this energy as you call forth the great I AM? I AM that I AM, I AM that I AM, I AM that I AM. Can you feel this vibration? Can you feel it within your heart? It is empowering. We ask you to use it to call in your soul essence, to call in what you need for health and vitality, confidence and courage, financial abundance and resources. And I repeat, feel it, embody it, embrace it, call it forth. It takes great courage to come to this Earth plane, and I know we have mentioned this many, many times before. We applaud you, and we thank you, and we indeed honor you. And so, Dear Ones, you are never alone, you are never alone, you are never alone. You have so many beings looking after you and watching over you that it is hard to comprehend, but it is truth. You are never alone. We’ve asked you before, to what we call remain self-contained. To keep your energies contained at this time. And this is a part of why we are asking you to call in your soul essence. You are building up your life force energy and your merkabic field and your force field, because each of you are being asked to become brilliant oracles and messengers. And you are emitting your frequency out onto the world. Just like the stars in the sky that you see at night, you are the brilliant star on this Earth plane, and your energy is emitting powerful frequencies of love and peace, courage, commitment, and devotion. And so as you call forth your soul essence, you are calling all the aspects that you’ve ever been. All that you have created, all that you have accomplished. Remember, Dearest Children, when you came as pure spirits, and went through the cycles of incarnations, and with each lifetime there was a lesson, many lessons perhaps. And you developed and mastered the attributes of the fruits of God’s holy grace. Meaning that with each lifetime you’ve chosen to return back to Oneness. Perhaps by suffering, perhaps through patience, perhaps through love, perhaps through devotion, patience, passion, peace, determination. What I’m trying to say, is that with every lifetime, your soul has stepped forward into full mastery, closer to God. And today we are calling forth this repository of energy. Again, it is at your disposal. Everything is at your disposal. It is energy. It has always been there for you. Call it in. Call in the lifetime of what you desire. Believe and so shall you receive, but call it forth. Step into your true self-mastery, your full potential. Live your life in the richness it was meant to be lived, in the fullness it was meant to be lived. And so, Dearest Ones, hold this energy and hold this power and hold this frequency of Divine Mother Love. The Holy Mother, the Blessed Mother, is here holding this energy upon this day, so call it forth for yourself. Do not live another day of your life without accessing your full potential, your Divine potential. You have so much that is being gifted to you, so much that is being offered to you, and over all of these years that I have been working with you, remember the importance of commitment, patience, perseverance. We have been patiently waiting for all of you to step into your full Divine potential. Call it forth today. Call it forth today. Live in your magnificence, live in your grandness. Accept this beautiful gift that we offer to you upon this day. As we have said many times before, be in the world, live in the world, but be not of it. Hold your light so brilliantly that you are changing the frequencies that are being emitted upon this Earth plane. As you well know, much of the dark energies are escalating upon this planet, but the light will prevail, and this is why we’ve asked you to step into your full potential, so that you will be able to hold your full potential, you’ll be able to access your full potential, you’ll be able to receive your full potential. With each person who steps into their full potential, their Divine soul essence, it clears away the darkness, the negativity, just like a bright light, you are shining your light onto the darkness so that others may see the way. With each person that steps forward and says yes, you are helping the collective energy, so that peace may prevail upon this planet. Love will prevail, and balance will return to this planet, just like in the days of Lemuria and Atlantis, when each soul during the highest of the civilization lived in a state of pure love and grace. There was so much love and tranquility, that it was difficult to comprehend how things could fall from grace. And those beautiful civilizations fell to their knees, simply vanished overnight into the ocean. You are at a tipping point, as they say, with your current civilization, and yet, Dearest Children, you are strongly holding the light, bridging two worlds, heaven and earth. You have been committed, you shall remain committed, and it is of great importance that you understand why you have come to this Earth plane, you are needed. You are loved, and you truly are a gift onto the world. Today, as you stand in the brilliance of who you are, know that you are love, and you are light, and that your magnificent soul essence will continue to guide you. Can you feel your strength in this moment? Can you tap into the essence of the truth of who you really are? Can you feel the brilliance of your beautiful light? Can you feel the magnificence of your soul? If it is difficult, we ask you to continue to call in your soul essence, so that you feel your power, and know the truth of who you are. Just like the young children that we talked about, the young child prodigies, that come in with their full knowingness, we ask that you have this same ability, you had just forgotten and had lost your way. And so we ask you to reclaim it, to reclaim your magnificence, to reclaim your brilliance, and to love who you are. Can you truly learn to love yourself? Love your magnificent self. Can you truly begin to turn the other cheek, as they say, and allow your soul essence, instead of your personality, to guide you? Turn the other cheek, meaning allowing yourself to let the essence of your pureness, the pure love that you are, to guide you. It is indeed sad that so many people have fallen bitter, and fallen into anger, not understanding their magnificent self. We don’t want you to fall into this trap, and to feel unworthy, unloved, unappreciated. And so, Dearest Ones, when you honor and respect yourself, it is there that you will receive the honor and respect when you love yourself, that you will receive the love that you so desire. And so, Dear One, your soul is calling you to listen. We spoke about this at your last gathering, about listening to your soul, but now we are asking you to access it, to embody it, to embrace it, to truly feel it. And to live in the remembrance of who you truly are. It is indeed important for the healing of this planet, and for you to return to balance within your own soul. Before each of you decide to leave this planet and transition back into your spirit, know that it is of great importance to balance your energy. To balance your soul, to the greatest of ease, to the best of your ability, to, shall I say, return to love. I shall return to Oneness. I shall return to peace. Let this be your guiding light, as you return to peace. Return to love, return to oneness. It is why you are here, it is why you came to this planet. It is the reason that you stepped forward as the beautiful spirit that day at the Great Conclave, and said yes, I will come and serve Mother Gaea. I will come and serve Mother Gaea. It is in the essence of your energy to be the perfected, beautiful light that you came to be. And so, Dear Ones, as you step into this power, as you step into this frequency, know that the pureness and the richness of your beautiful soul thanks you for welcoming it today. Perhaps you’ve never thought much about your soul or your soul essence, but honor it and thank it, and call forth vigil today, living from the true essence of who you are. Know the truth of the magnificent self, and call forth the peace into your life. Today, as you step forward, know that you are held in Divine Grace. The love of God surrounds you, the power of God protects you, the presence of God watches over you. Wherever you are, God is, and all is well. And you, Dearest Children, are the chosen ones. You’ve chosen to reawaken, you’ve chosen to live in peace, and you’ve chosen to live in the grandness of your true spirit essence. Take this day and allow it to be the first day of the beginning of the rest of your life, and go forward and understand the joy of living in your full brilliance. Go now, my children, and hold the light and be the light of the world. Go now, my children, be the light, and hold the brilliance of who you are, and be the light of the world.